A fast casual salad chain apparently has plans to open a new location downtown. 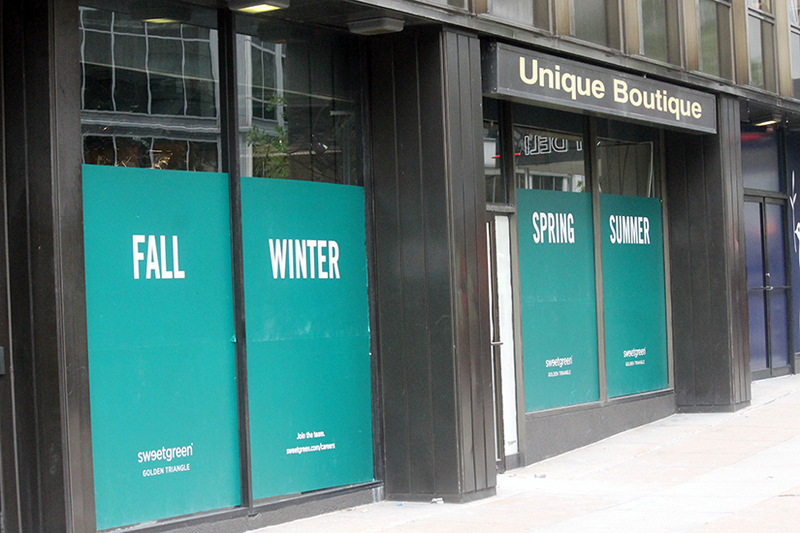 Signs went up recently advertising a forthcoming “Golden Triangle” Sweetgreen in the former Unique Boutique space at 888 17th St. NW. A PoPville reader first spotted the signage earlier today. The veggie-centric eatery slings seasonal salads and bowls made with ingredients like watermelon, kale, quinoa and chickpeas. Sweetgreen currently has 11 shops in D.C., including ones in Logan Circle, Dupont Circle, West End, Foggy Bottom and Navy Yard, according to its website.